Operating pressure can reach as high as 28bar. which is achieved through new technology. 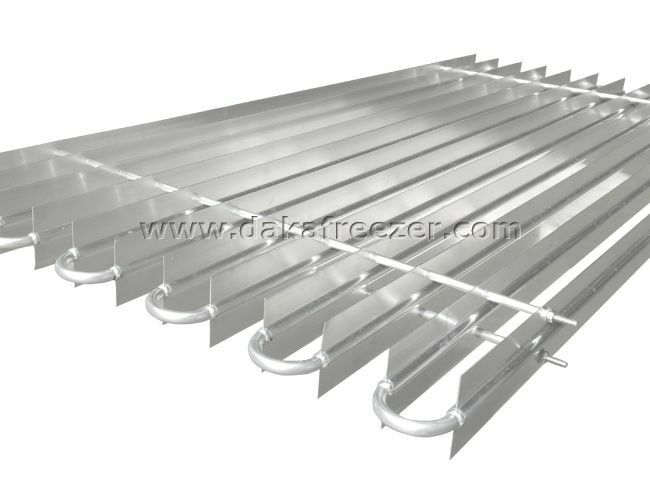 Cooling capacity can be controlled according to different loads. 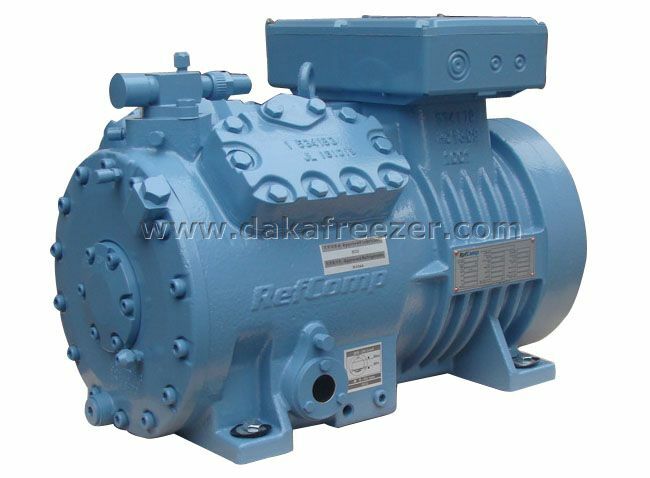 RefComp Semi- hermetic piston compressors are widely used not only in commercial and industrial refrigeration. 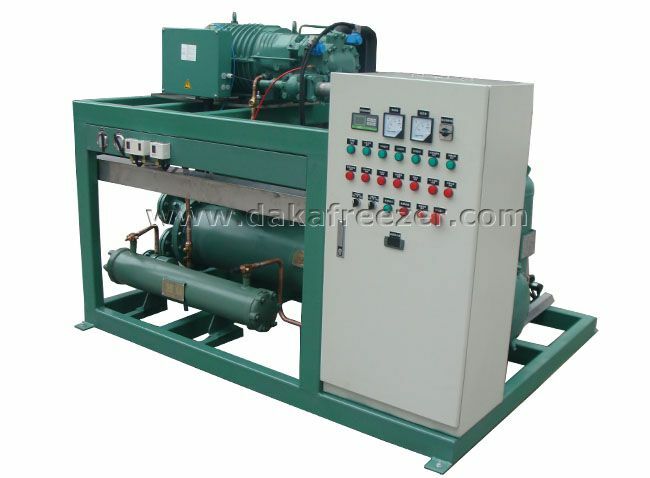 ●Operating pressure can reach as high as 28bar. 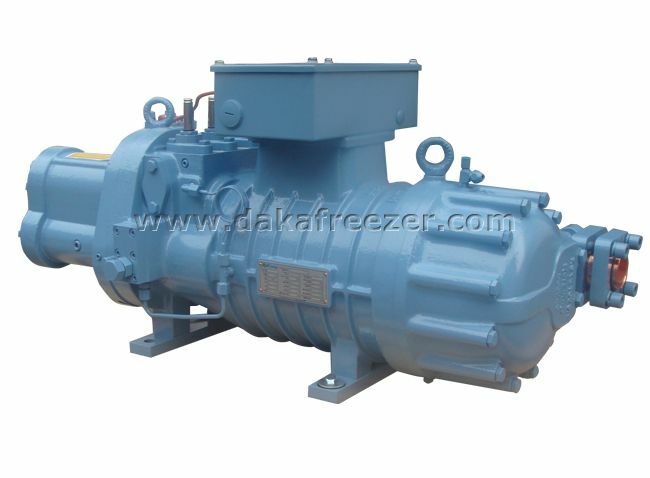 ●Filter, cut- off valve, temperature sensor are integrated into one,and the overall size of the compressor is small. 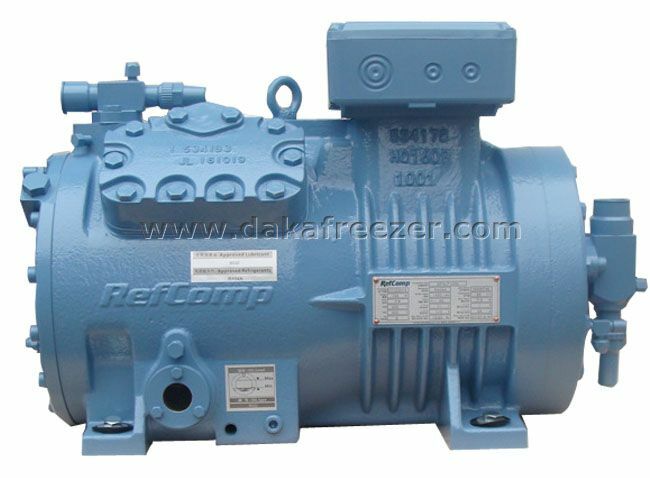 ●With the crankshaft (including balancing weight) designed byRefComp, the operation is smooth and with low- vibration. ●High efficiency, high strength, low vibration, low gas pulsation and lownoise, which is achieved through new technology. 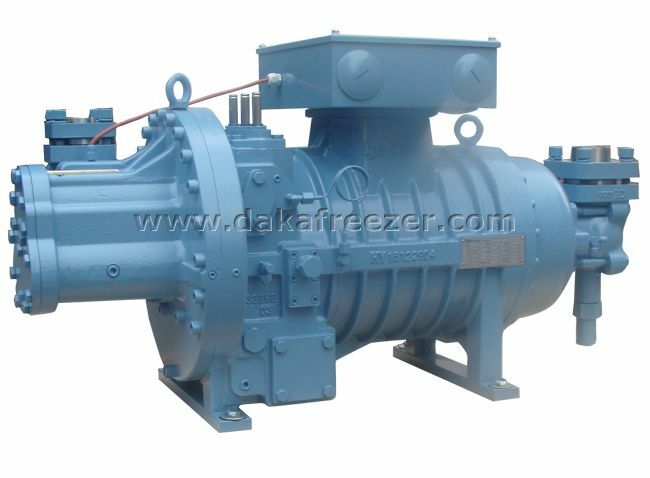 ●Cooling capacity can be controlled according to different loads. ●The embedded safety valve joins the high pressure side and lowpressure side to prevent the internal pressure from exceedingthe safety threshold. 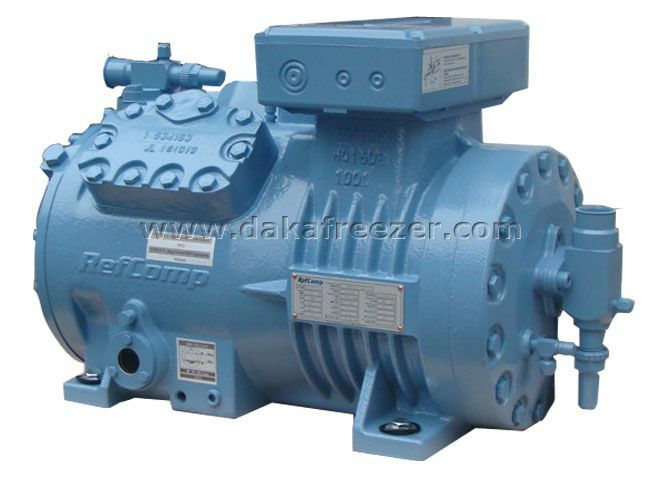 ●Unique structure design and spacing layout: motor is effectivelycooled down by using subcooled refrigerant gas between thesuction shut- off valve and the inlet of the piston.